In March 2018, Robotic Process Automation (RPA) software provider UiPath was valued at USD 1 billion, a rare enough event for the company to be dubbed a ‘unicorn’. 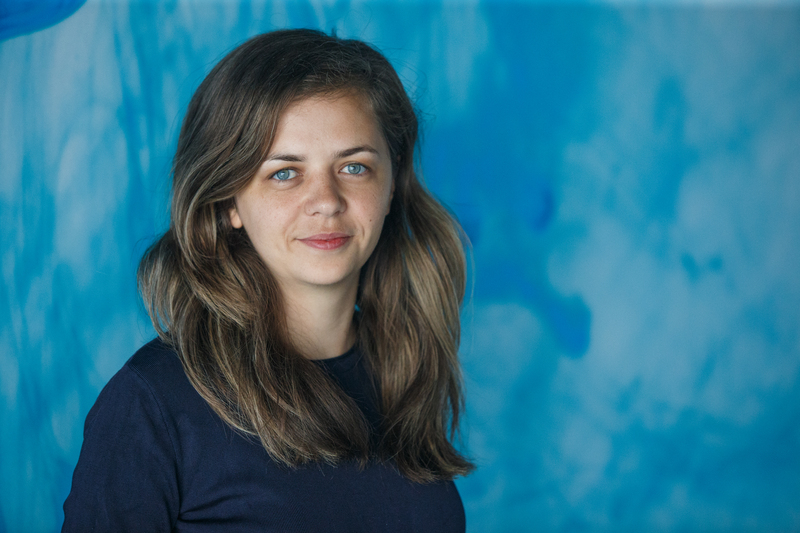 But the road to success of this Romanian-born startup has been far from straightforward. Having strayed from the path a number of times, it faced closure before emerging as the leader of the global RPA market – proof that in UiPath’s case success lies not so much in the recipe, but in the ingredients. As the saying goes, everything looks clear in the rear view mirror. In this particular case, due to the speed with which UiPath has moved in the past two years, one mere glance is bound to give anyone motion sickness. 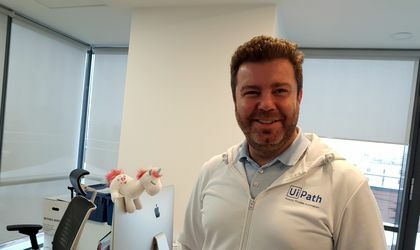 On 6 March, UiPath, which is headquartered in New York but has kept its software development in Bucharest, received a USD 153 million investment in the form of a Series B funding, pushing its valuation above USD 1.1 billion. The move came after a year of record growth, during which UiPath was named leader of the RPA market by Forrester, scoring highest when assessed for its technology. 2017 also saw the firm’s enterprise customer base grow from fewer than 100 customers to more than 700, pushing the company’s annual recurring revenue up by a staggering 690 percent. To sustain the growth, last year the start-up embarked on a massive expansion of its global presence, doubling its workforce to over 500 professionals and opening offices in ten countries. Among them, the Japanese chapter, UiPath K.K., the first office opened in the country by a leading RPA software provider, had a major role in the company’s advancement. 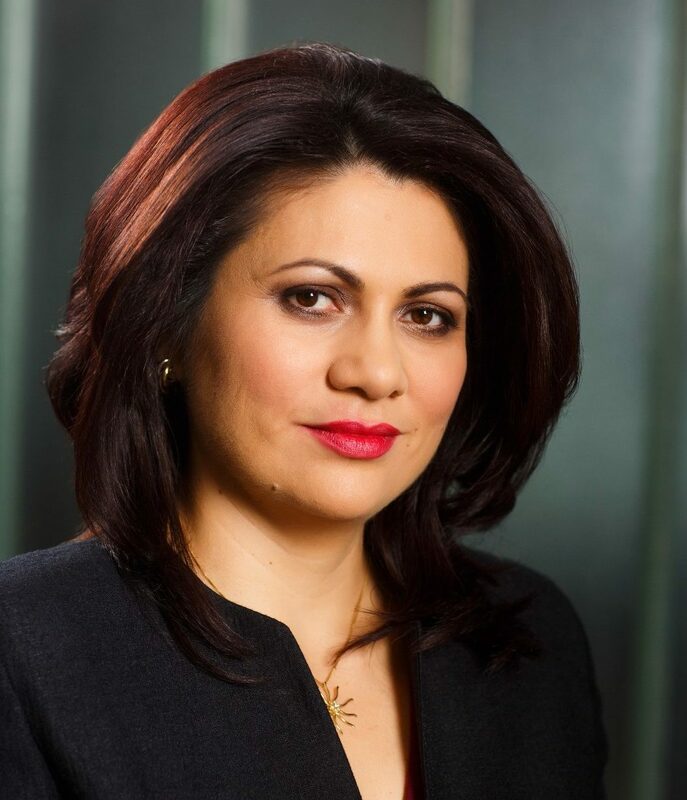 But, having emerged from Bucharest as leader of a market that is only now taking shape at a global level, as a seller of enterprise software, Romania’s first unicorn is part of an extremely rare subspecies. Especially considering that it started developing its core product independently of a market it had very little knowledge of, and only five years ago considered shutting down the business. 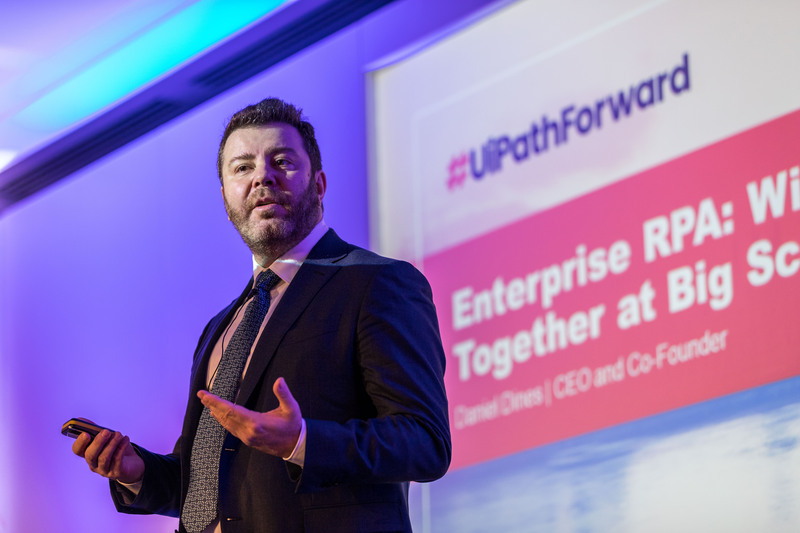 Daniel Dines, CEO & Founder, UiPath at UiPath Conference, London. 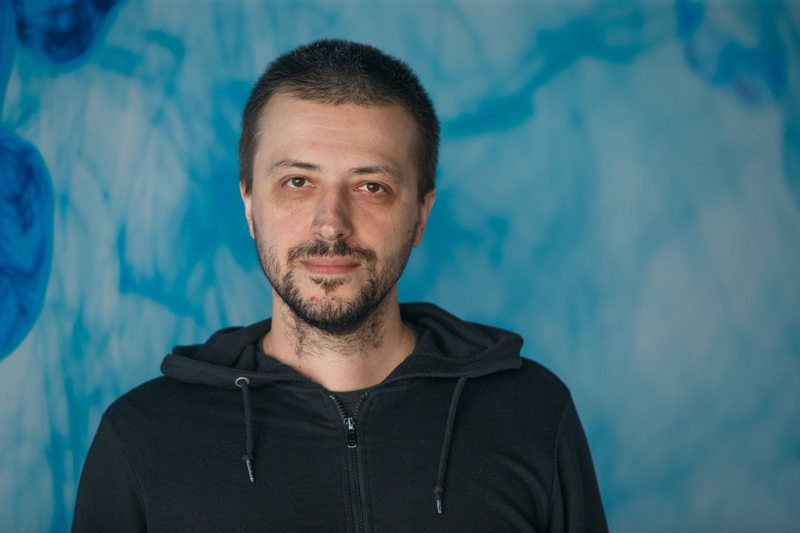 Romania’s first USD 1 billion tech start-up has its origins in a software outsourcing company founded by UiPath’s CEO Daniel Dines and Marius Tirca, its CTO, in 2005. 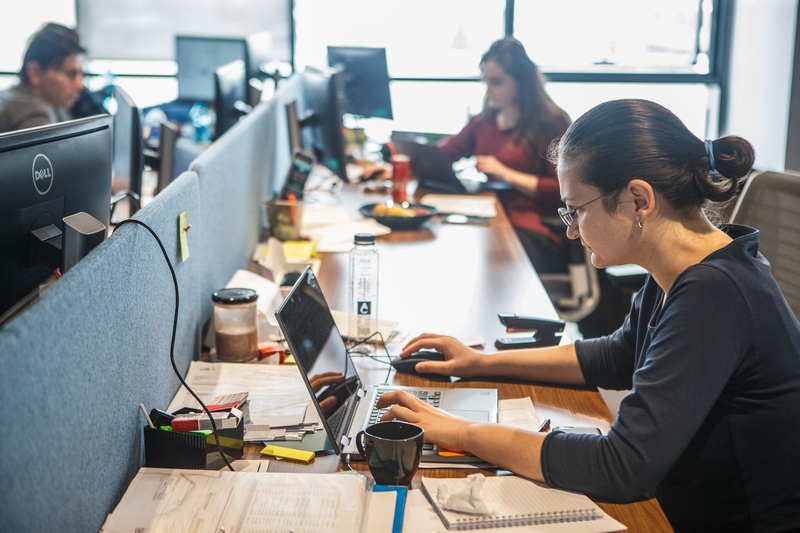 Located in a flat in Bucharest’s Delea Veche, DeskOver built automation libraries and software development kits for companies such as IBM, Google and Microsoft, which embedded them in their own products. But it wasn’t until 2012 that the team, which numbered 10 people, realized the market fit with RPA and started putting its resources into building a platform for training and orchestrating software robots. While that may seem like a natural progression, for the start-up and its product, today’s most widely adopted RPA platform in the world, that time could have spelled a dead end. “What changed my perspective was looking at new start-ups coming out of Silicon Valley. TechCrunch started talking about new start-ups, and then there was Y Combinator [an American seed accelerator, started in March 2005] and then Paul Graham, one of my virtual mentors whose thinking really influenced me deeply. And I saw that you could actually build a company out of love for technology. For the sake of doing something for the greater good, of doing something better in this world. It changed my thinking completely. We gave up outsourcing completely and we said, ‘let’s build the best thing that we can and then we’ll see what happens.’ That was really a pivotal thing in our history,” he says. But they still had room to make more mistakes. “We launched our product too late,” Dines explains.” That’s because we polished it too much, instead of bringing it to market much faster, getting feedback and going where the market wanted and not where we wanted to take it. And second, we killed it too late. So we didn’t fail fast, we failed late. We launched it late and failed late. Two big mistakes. I think for two to three years we were going in the wrong direction” he adds, as compelling as this can sound from the mouth of the co-founder of one of the world’s newest unicorns. The first client discovered them, not the other way round. The Indian chapter of a large BPO company was doing a pilot project to find the best provider of RPA technology to meet its business needs. UiPath, still named DeskOver at that time, competed against other RPA providers and came out on top. According to Dines, three of their best people went to India and spent three months immersed in this new challenge. But the biggest take away from the experience was a keen understanding of the market their product was operating for. “We understood there was a huge market out there of people who just do repetitive processes all day long, for whom our technology, which emulates what people do, is perfect. From that moment on, things changed dramatically for us. We started to grow,” Dines explains. That year DeskOver launched the first UiPath Desktop Automation product line based on Microsoft Workflow Designer that specifically targeted the RPA market. “In 2014 and 2015 it seemed to me that we had giant competitors, but without looking at them, we started to grow the team and things later exploded. There comes a moment when you need to get a little crazy,” Dines says. In 2015 DeskOver became UiPath, and concluded its first partnerships with several global BPO and consulting firms. Moreover, the company opened its US office, UiPath Inc, and expanded the team from the core of 10 to over 100. In August, UiPath closed an initial seed round led by Earlybird, with Credo Ventures and Seedcamp as backers. Announced the previous year, the round required 14 months of negotiations and brought the start-up a USD 1.6 million investment. In September, it was included in Seedcamp Week in London. It was as early as 2015 that UiPath appeared on the radar of EY Romania, with which it later developed a strategic partnership that turned global. “We got into Romania through our partner EY. EY Romania has built an implementation team based on UiPath technology and it is very successful worldwide within the entire EY group,” Dines says. By April 2016, the company had released its Front Office and Back Office Server suites and made available its Studio Community Edition, reaching 10,000 active members in six months. By the end of the year, it had opened new offices in London, New York and Bengaluru (Bangalore), India, and had added more than 250 enterprise customers to its portfolio. At that time, UiPath already counted about 200 large enterprises among its customers, including Lufthansa, Generali, Telenor and Dong Energy. About 30 percent were located in the US, with another 40 percent in Europe and 30 percent in Asia, and they spanned sectors such as banking and financial services, insurance, manufacturing, utilities, healthcare and government. Boris Krumrey, Chief Robotics Officer, UiPath. UiPathForward Conference, London. 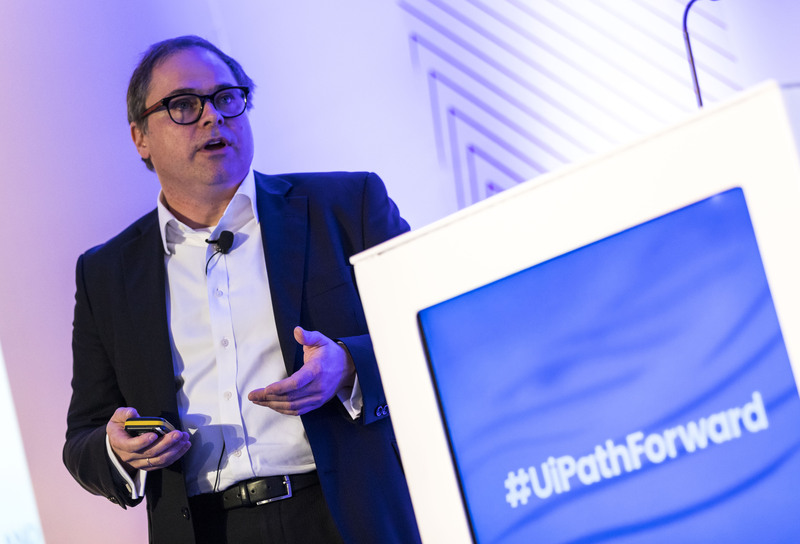 The investment, UiPath’s chief robotics officer (CRO) Boris Krumrey told BR in an exclusive interview in December of last year, was directed at hiring the best people, growing the sales, technical customer service organization and product development as well as expanding into key markets and an infrastructure that is globally expanding. “Right now, we are focusing on growing and strengthening our partnerships with our service integrators, service providers, consulting partners and technology partners. Especially with the integration of leading technology partners such as Oracle, Celonis and ABBYY, we have realized an expandable and business agile RPA platform that can actually realize a ‘digital workforce’, he outlined. In 2017 UiPath opened offices in Australia, France, Japan and Singapore, and had an employee base of over 400 people. Last year, UiPath’s number of clients increased by 611 percent, and included Allianz, BMW Group, CenturyLink, Dairy Farm Group, Dentsu Inc., Huawei, Morningstar and Sumitomo Mitsui Financial Group. 2017 also saw the launch of UiPath Academy, which allows thousands of people worldwide to train with the UiPath RPA platform solution. In March 2017, UiPath became the first leading global RPA vendor to set a strong footing in Japan. The Tokyo-based subsidiary, UiPath K.K., is led by CEO Koichi Hasegawa. According to Hasegawa, RPA can provide significant help to Japanese companies, as the country is facing major problems due to ageing. “Japan is one of the leading countries in the world when it comes to the problem of ageing. Many companies are worrying about the decrease of the workforce in the near future. RPA will support workers in offices and enhance productivity of Japanese companies,” the UiPath Japan’s CEO tells BR. In particular, RPA is suited to the working style of Japanese companies and to its cultural particularities. “Japanese companies have well organized business processes and RPA can adopt them relatively easier. The Japanese working style ‘O mo te na shi’ – a traditional Japanese way of hospitality whose key elements are thoughtfulness, dedication to customers’ needs and meticulous attention to detail – needs many manual processes and is a serious burden for workers. RPA is a good tool for Japanese workers to release the burden,” Hasegawa explains. According to Hasegawa, the business sectors most eager to adopt automation and RPA services are the banking and the automotive sectors. “Banking is the first RPA industry, because their business heavily depends on best usage of digital data now. But all other sectors are interested in using UiPath in their business process including the automobile sector. UiPath is seen as versatile tool regardless of industries.” When it comes to the readiness to adopt RPA, Hasegawa said that the public sector has shown resistance in the beginning. “The public sector is a bit conservative to apply RPA to start with. Even so, the sector has a lot of routine paper work. Now the public sector is interested in adopting RPA and some of them are already trying it,” he explains. His views are matched by those of UiPath’s CRO Boris Krumrey. “Japan is an absolute success,” says Krumrey, pointing that its ageing population and overworked staff put RPA in the very position to solve a social issue. “We have a visionary local management there, and the market is ripe for it. In terms of performance, UiPath has conducted the largest RPA deployment initiative in the world in 2017 resulting in over 400,000 hours saved across 200 operations. Another important indicator is that now UiPath Japan is working with 70 percent of he largest banks in the country,” he explains. 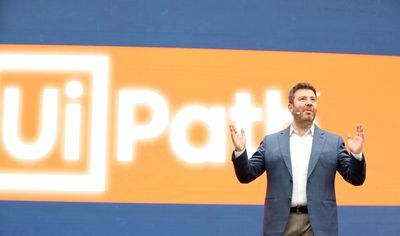 Less than one year after receiving its first substantial investment, UiPath raised USD 153 million in a Series B funding, again led by Accel, with new investors CapitalG and Kleiner Perkins Caufield & Byers (KPCB) contributing, alongside early investors Earlybird, Credo Ventures and Seedcamp. The company’s USD 1.1 billion valuation put UiPath on the exclusive list of the so-called unicorn companies. According to Accel representatives, the new financing will be used to accelerate the development of the company’s product roadmap, particularly around innovations that integrate machine learning and AI algorithms within customers’ digital business operations. Following the round, Accel partner Rich Wong joined the company’s board of directors. According to Dines, securing the Series B investment took just two months and choosing its future partners was this time up to UiPath, which went for investors with a Google connection. Apart from being a substantial endorsement for UiPath’s technology, the addition of CapitalG, the late-stage growth venture capital fund financed by Google’s Alphabet Inc., paves the way for collaboration with Google’s technical advisors to continue advancing AI and ML capabilities. “We chose Google for its interest in AI,” Dines says. Headquartered in Silicon Valley, KPCB was an early investor in Google, alongside Amazon and AOL, among others. That privileged category includes Marius Ghenea, partner at 3TS Capital, one of the region’s most important investment funds, who dubbed UiPath “the one that got away.” He tells BR: “of course I wish I had invested in the start-up, and furthermore, I was in discussions with Daniel, the co-founder, and the other VCs for the first round, but did not finalize the investment at that time. But one cannot make every investment.” Ghenea adds, “Besides, UiPath had very good and smart investors. I respect very much the activity of the VCs involved there, and the results are visible. Then again, in retrospect it is always a lot easier to determine which investments a VC should have made, when one sees the results.” Moreover, in his view, the USD 1 billion valuation “is excellent news for the company and its founders and shareholders and great news for the Romanian tech ecosystem, as something like that has almost never happened in the region,” he adds. According to Dines, it is down to the core team as well as his co-founders and himself to promote a culture built, in his own words, around the concept of “humbleness”. “It’s the natural evolution of a human being, to reach humbleness. Ego is the worst enemy in one’s life. And to us humbleness came a bit from the realization that we were not the best software engineers in the world. We don’t have the best ideas in the world. And what can make us successful is really the desire to do something better. To become better. And only people who think within the humbleness framework can improve. Because otherwise you think you are good enough. And humbleness helps you overcome this type of barrier,” he says. “A well-established market is very difficult to disrupt,” he stressed. “Still, it will be a long time before someone disrupts you, and from the point of view of technology they will not be able to disrupt your position on a market you are already so well established in.” And investors agree. As Accel’s Lixandru told howtoweb.co last year, UiPath might very well become a decacorn. 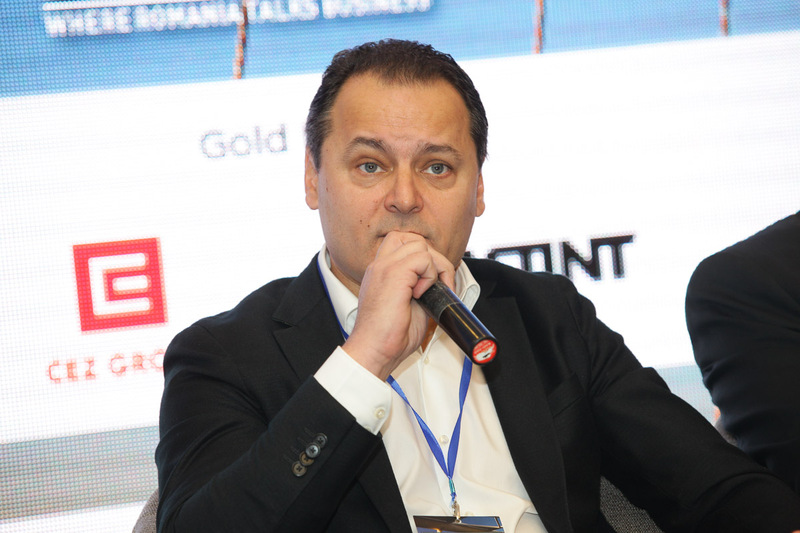 “I think we can expect to have a multi-billion dollar company out of Bucharest.” However, for Dines, listing on the NASDAQ, something he expects the company to achieve in two to three years’ time, is a much more coveted goal. 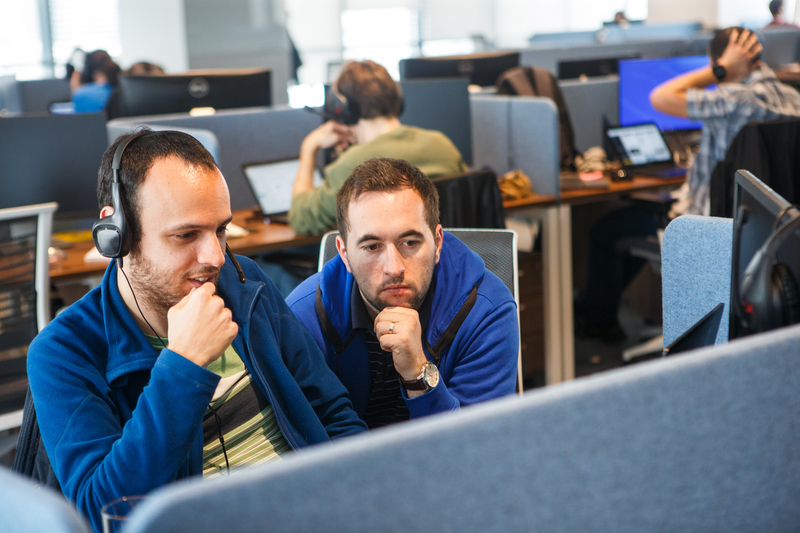 Can other Romanian start-ups replicate UiPath’s success? UiPath is a robotic process automation vendor providing a complete software platform helping organizations automate business processes. The ‘robotic’ term can be misleading, as it has nothing to do with physical robots. Instead, it is a software tool that digitises highly repetitive work processes. Hence, the company’s mission is to eradicate tedious, repetitive tasks and let software robots do the grunt work. UiPath enables businesses and organizations to develop an agile digital workforce by providing a state-of-the-art platform for software robots orchestration. Their products automate across all internal or web-based applications/databases and have unmatched solutions for Citrix, SAP and BPO automation. Being magical creatures, unicorns are very rare. According to TechCrunch, there are currently 279 private VC-backed start-ups valued at over USD 1 billion. Last year, only 60 new start-ups were added to the unicorn club, fewer than the 66 that had joined the year before and way behind the record-setting 2015, which brought 99 newcomers. Also, they are highly unpredictable. Traditionally having taken a major liking to the financial- and innovation-driven climate of Silicon Valley, of late they have found in China the second friendliest place to develop. But although in 2017 the majority of newcomers still emerged from the US and China, which contributed 29 and 24 unicorns respectively, thanks to the rise of cloud computing and easier access to international funding, new unicorns have started popping up in more exotic locations across the globe. Zooming in on Europe, the continent currently boasts 31 unicorns, with the UK contributing last year with four and Switzerland with one. Moreover, their preference for markets is also largely a guessing game, although, as trends go, in recent years start-ups in sectors such as ridesharing, bike-sharing and co-working have consistently attracted strong funding. And not least, the USD 1 billion valuation itself carries with it a magic formula. Being fully known to investors only, its algorithm takes into account alongside intuitive factors such as the size of the market, for instance, growth predictions based on calculations that mostly elude outsiders.